That puzzle had a lot of pieces. It was more for my excellent puzzle master Mica. 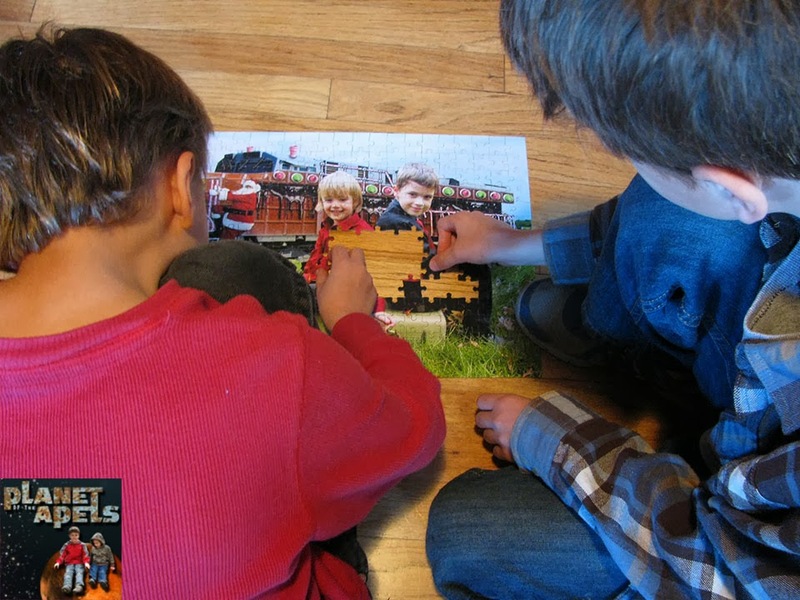 I just reviewed another one of Piczzle puzzles. This time I went for less pieces. I had Isaak more in mind. Both boys were looking for things to do, so they did both put it together. 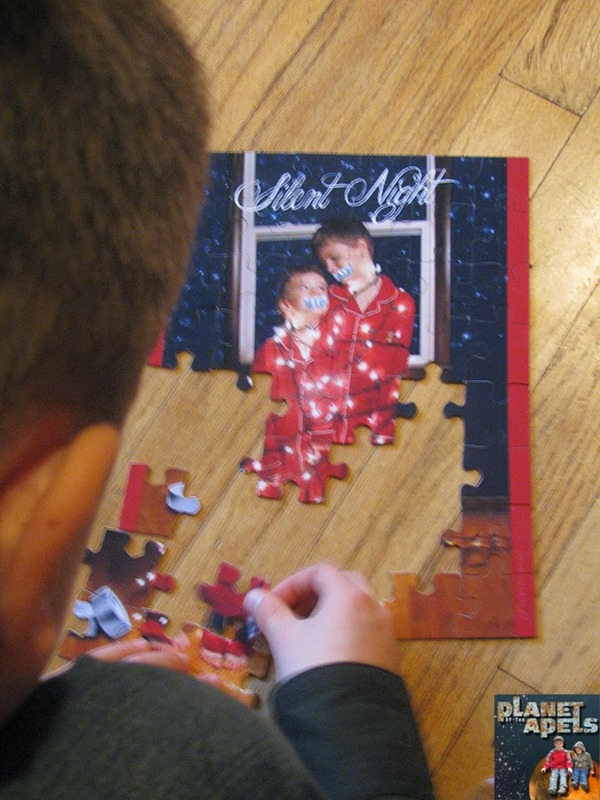 Isaak found this puzzle easier to do. Much easier than our last one. 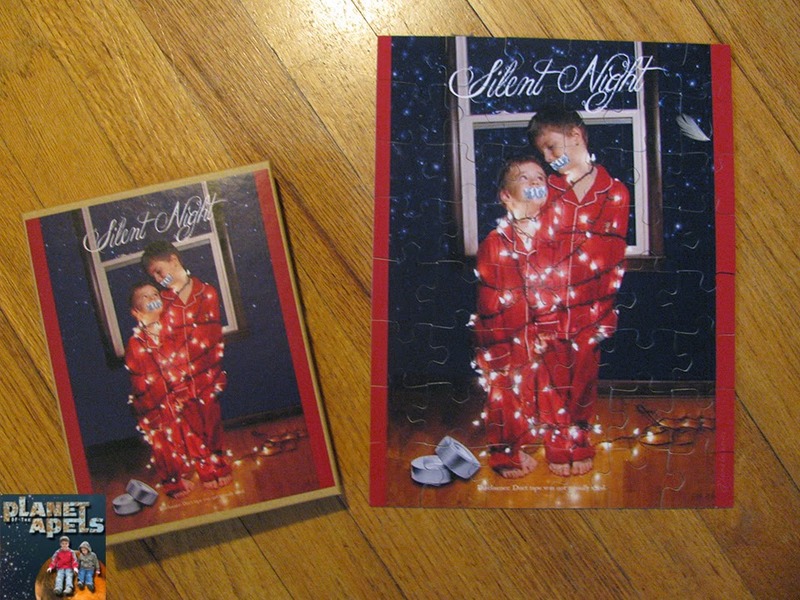 We spend a lot of time on our holiday cards - that I think they are perfect to make into puzzles. It's a medium sized puzzle (8.5"x11") with 48 pieces. Their prices are really great! 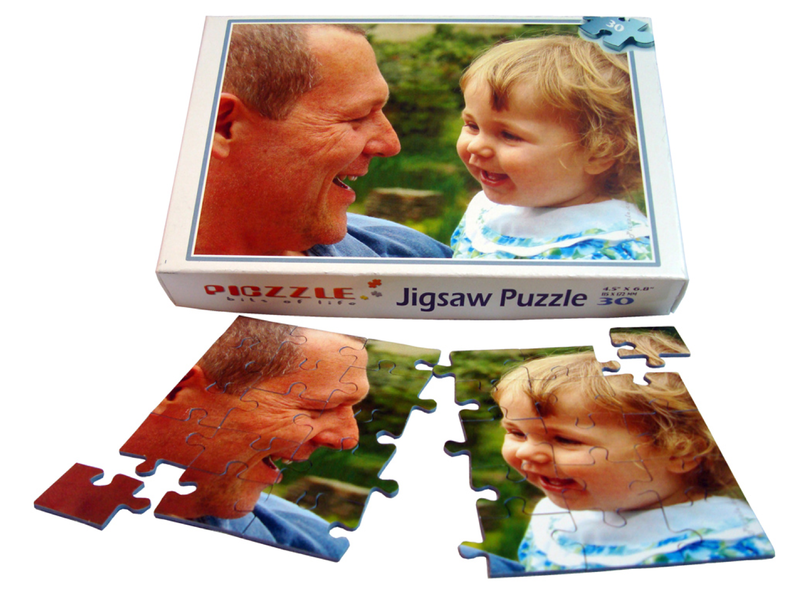 You can make your own picture puzzles. This one is worth $21.95. I think that's a great price for something custom. FedEx 2 Day, 3 to 5 business days is $27.95. Uploading the photo was super easy. It didn't take long at all. You get a preview of your photo after it's uploaded. I was kind of in a hurry when I did this part. I generally am in a hurry when I'm in the process of getting something online for a review. I don't want the the internet to crash, or loose a code when I'm in the middle of something like that. If something like that happens I have to email the company to get a new code, and explain what happened. That adds yet another unneeded step to the process. I just find it easier if I quickly go through the process. I do wish they gave a preview of how your picture looks on the puzzle before you add it to the cart. It only gives you a preview of just your picture. That would have saved their company time in emailing me to tell me that my photo wasn't the right proportion for the puzzle. I could have fixed that had I seen that it wouldn't work quite right. With that they have excellent customer service. They told me my options right away on how to fix my problem: Cropping, adding a border, making it out of proportion, or sending them a new photo the right size. I went with my own border. Then resent it. There was no waiting around for emails back and forth. They were on top of my order! 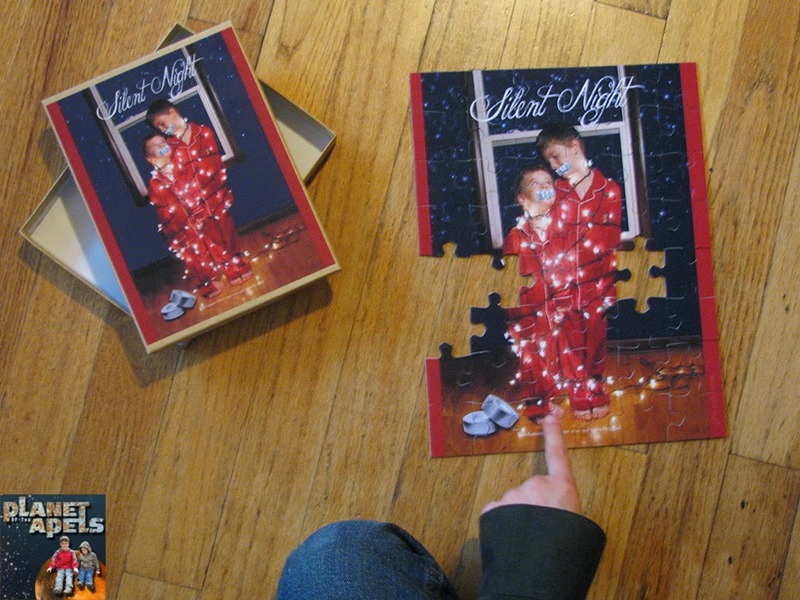 I ordered this photo puzzle on Thursday last week. It was printed and sent by Saturday. Super fast production. The quality is good to! It's a premium grade cardboard with a glossy finish. All the puzzle pieces were there. I always worry about one being missing. Overall I'm really happy with the puzzle. It was everything I hoped it would be. Piczzle really does a great job with their picture into puzzles. 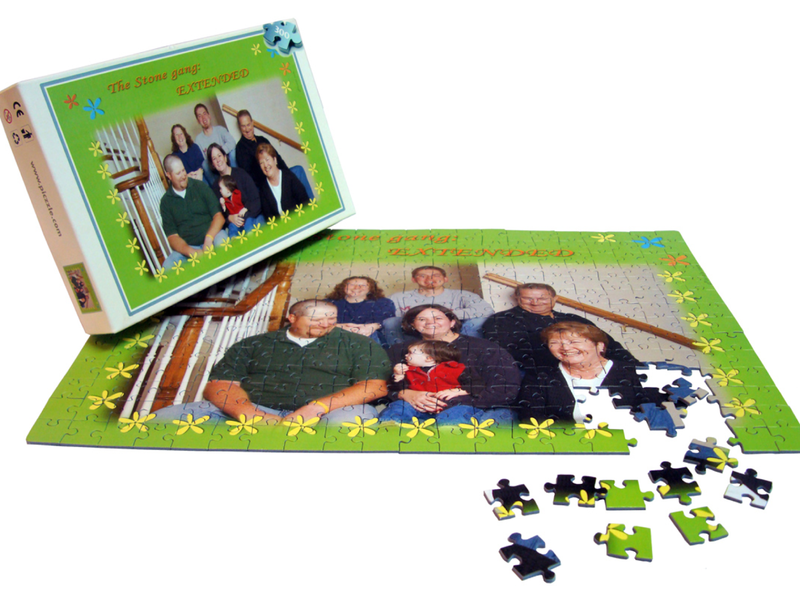 Win a small custom cardboard puzzle from Piczzle. You will not be disappointed! Open to the US and Canada! Like Piczzle Picture Puzzle on Facebook and Piczzle Photo on YouTube. I got a photo puzzle of my boys for my Nana a few years ago and she ended up framing it. Nice. Makes a great gift. I would even give it to an adult. I'd use a photo of our two kids taken during our recent vacation. We had one of these made a few years ago. Mariah loved it! Makes a great gift! I'd have my youngest put on one. I had one made of my grandbaby before, and it was cute but she's too young to open it still. ;) I think I'd use a Christmas picture. You picked a good one for yours!!! What a neat idea! My seven-year-old is our puzzle master, but he puts together 500+ piece puzzles all on his own. 48 pieces would be way to easy for him. I would probably take a crazy pic of all of the kids and make that into a puzzle. I'd put a picture of my daughter's cousins on it. She'd love a puzzle of them. I'd use a photo of my teenage son holding our dog. Thanks. Loved that one of the kids with the duck tape. I know my kids wouldn't go for that, probably a hear, see, smell, taste no evil family pic.